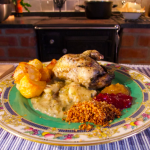 Heat a drizzle of oil with butter and sauté partridge on each side. Add leeks and soften in butter. Add sufficient water to be a third of way up the birds. Season and add parsnips. Simmer gently on hob with lid on for 40mins until bird fully cooked. Thicken the juices with slaked cornflour and bring to boil to finish sauce. 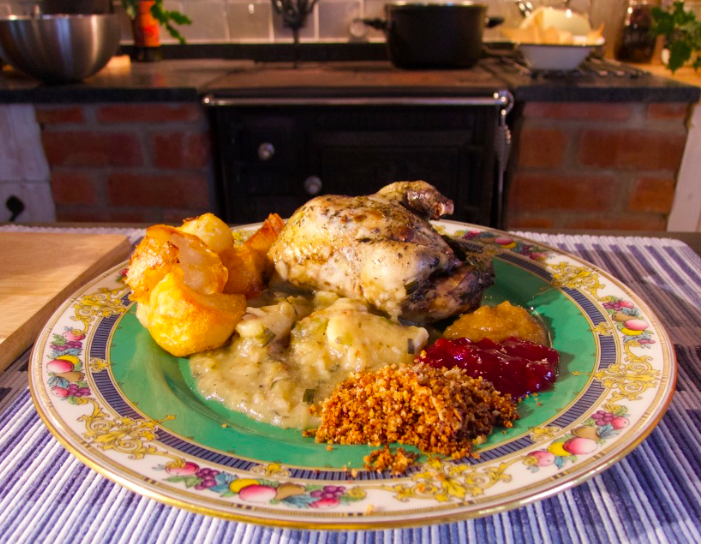 Serve partridge with parsnips and sauce, apple butter, roasted breadcrumbs, roast potatoes and a rowan jelly or similar.